HP's recent decision to sell its software business segment shocked HP ALM and HP QC users worldwide. While it might have been a reasonable business decision from a financial point of view, the spin off and merger of Hewlett Packard Enterprise Co. and Micro Focus International PLC proposes a set of important questions from the users' perspective. Is the rug being pulled out from under them? In early September 2016, the Wall Street Journal published an article about an $8.8 billion deal on the enterprise software market. In an effort to streamline their business operations, HP Enterprise's CEO Meg Whitman has decided to narrow the company's focus by selling off part of its business software division. The interesting part is that HPE's partner in this spinoff-merger was none other than Micro Focus, a British company specialized in legacy application modernization and Linux solutions. Kevin Loosemore, the company's executive chairman, said he "viewed this as another opportunity to profit from managing old software". In other words, the company that took over established and widely used solutions such as HP ALM and HP Quality Center (HP QC) is actually one that invests in aging, declining software solutions. In an article by the Telegraph, technology analyst Paraag Amin said about Micro Focus that "They wait for technology to mature, then they wait for businesses that deal in that technology to go into decline and they buy them and drive them into profitability." It's also interesting to look at how Micro Focus has been able to make these "declining" companies that it had acquired profitable: mainly, it seems, through the optimization of costs and efficiencies throughout the enterprise. What this means, according to a quote by Mr. Loosemore himself in a Guardian article, is "reductions". Cutbacks in terms of the number of employees and expenses definitely makes sense if you're an investor trying to rationalize costs and increase revenues. 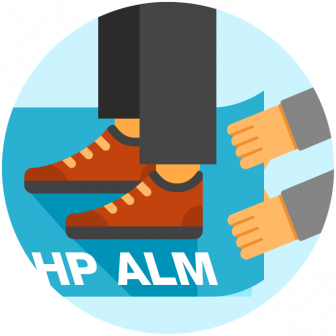 But if you're one of the companies that are using HP's ALM or QC software suites to develop your products, you may be wondering if it's time to leave the sinking ship. Indeed, in an eWEEK article about this merger-spinoff, Charlotte Dunlap, principal analyst at Current Analysis said that the trend in large software investments today was to primarily focus on tools that help enterprises transition to the cloud. HPE, however, has been left behind in this race to the cloud, not having been able to refine their SaaS strategy and offerings. How the combination of HPE's past inability to keep pace with development in the ALM world, and Micro Focus's efforts to further cut costs will play out in the future is difficult to tell. 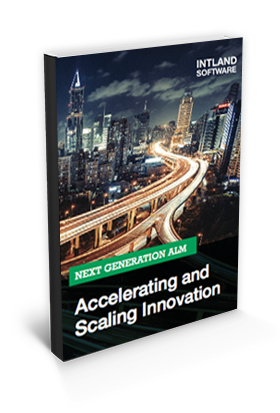 With reductions to follow, it certainly doesn't seem like former HPE solutions will be able to keep up with the rapid development of platforms that we're seeing in the ALM space. Overall, the general consensus seems to be that HP ALM and HP QC users have good reason to worry. Not only are they using legacy tools that are widely considered antiquated, but in light of recent events, further development of those tools seems limited. With forward-thinking product development companies flocking over to more modern cloud-based ALM solutions at a rapid rate in recent years, sticking to HP's obsolete solution does seem like a dead-end street. Enterprises that aim to stay ahead of the curve are increasingly considering integrated, cutting edge Application Lifecycle Management solutions such as codeBeamer ALM to "future-proof" their processes. As a market-leading ALM platform, codeBeamer offers flexible integration points with legacy systems to facilitate a successful migration, and is continuously improved and expanded based on our users' feedback. To learn more, simply get in touch with us to request a 1-on-1 demo, or start your 30-day trial of codeBeamer ALM right away.